As if having your entire town turned upside down, both literally and figuratively, did not do enough damage, now residents in Joplin, Missouri have a new problem to contend with: Higher than normal levels of lead showing up during environmental sampling. In tests of 44 properties in Jasper County, 19 showed high levels of lead, prompting the city’s mayor to ask the U.S. Environmental Protection Agency and the Missouri Department of Natural Resources for help in testing for, and cleaning up, the element, according to the Los Angeles Times. So… What does that mean for the residents of Joplin in terms of water quality and drinking water safety? It means they will more than likely begin regular testing for lead and other potentially dangerous metals in their drinking water! 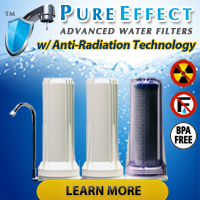 The United States Environmental Protection Agency has determined that consuming food and drink containing levels of lead at or above 15ppb (parts per billion) can cause serious health problems. Why did companies dump ‘chat’ all over the place? At the time no one probably knew the dangers posed by the material so government did not really care where the material ended up. Hence the reason the article mentioned how people used it as fill material under houses, in yards, etc. Now, however, science and the medical profession both agree that material containing such high levels of lead pose quite a threat, mining companies would need piles and piles of permits before they could dispose of a substance like ‘chat’ and they would more than likely remain on the hook for the safety of surrounding areas for many years. Testing for lead in water? Can the average person test for the presence of lead in their water? Absolutely! 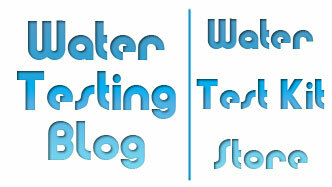 A company called WaterSafe manufactures a Lead in Water Test Kit, for monitoring levels of dissolved lead in water. Simple and easy to use, the WaterSafe Lead in Water Test Kit usually costs around $10 and provides presence/absence results for levels of lead in water 15ppb or greater.